I stood by my word and kept my Pop in a Box subscription, and I have to say that I'm not disappointed with this month's offering. I present to you: Magenta. I'm absolutely obsessed with The Rocky Horror Picture Show and have been for years. There are even pictures of me dressed as Columbia from when I went to see the Naughty Forty anniversary show hanging around the depths of Facebook. 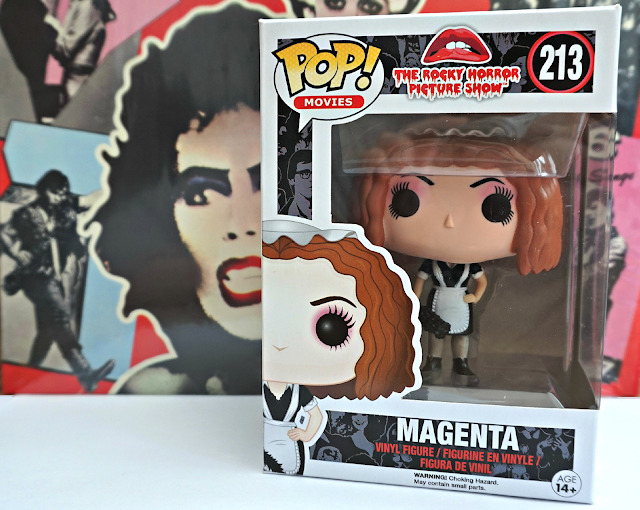 I already have the Frank N Furter and Columbia Pops, so Magenta is more than welcome in my Funko collection. My favourite thing about her is definitely the make up, I'm getting serious eyelash AND eyebrow envy from her., and her eyeshadow lives up to her name. Also, check out that little feather duster! My only issue is that fact that her chins droops slightly on the right hand side, which I assume was an issue with the mould. 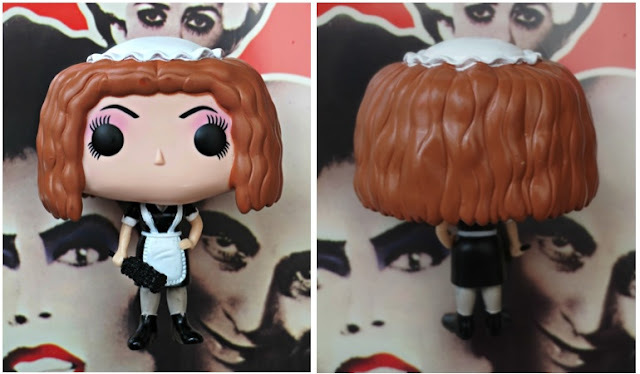 I couldn't resist breaking out my vinyl soundtrack as a background for these shots and I love the way that the real Magenta is peering over Pop Magenta's head in the close ups! I promise that I didn't plan that slightly creepy pose. What do you think of Magenta? Are you a Rocky Horror fanatic? Let me know by leaving me a comment of tweeting me!